Origami slideshows are excellent resources for people who are attempting to learn the proper way to fold paper into figures. From examples of origami animals and birds to step-by-step origami folding instructions, slideshows not only give you ideas, they provide visual aids for those ideas, too. Figure folding slideshows are always helpful for people who are unfamiliar with terminology or have trouble with written instructions. Create an origami fortune teller, build the perfect paper airplane and even make an origami knife. Easy Origami Diagrams: Learn about books aimed at origami novices and kids. Kirigami Instructions: Kirigami is a special form of origami that involves cutting paper, so check out the recommended books in this slideshow. Origami Paper Purchase: Find out about paper options for folding figures. Money Origami Instruction Books: Flip through this slideshow to get some ideas for books that teach you how to fold money. Pick up some new folding techniques or ideas for your next project by viewing some origami slideshows. 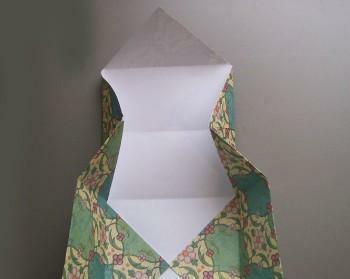 Slideshows will show you everything from how to make a traditional origami hen to cat origami that kids can make, too.